Hedera helix, commonly referred to as English Ivy, is a greenery favorite. This perennial’s trailing and mounding growth habit, drought tolerance and attractive green leaves makes this a great choice for landscape and mass plantings for ground cover! 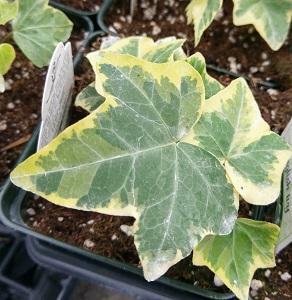 Ivy is desired most for its hardy foliage, rapid vigorous growth, drought tolerance, low maintenance, and creeping growth habit for landscape and beds. 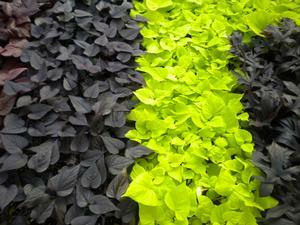 Ivy is great for early Spring through Fall with glossy green leaves to brighten up any container or landscape. Ivy prefers some shade and shows its pretty foliage year round. Ivy prefers some shade and shows its pretty foliage year round. It can mound up to 8-12” tall and may spread or climb 40 feet or more if conditions are favorable. 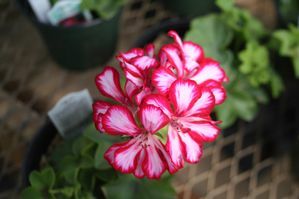 It grows well in a variety of soils from average to well drained. Ivy will do best if regularly watered when it is first planted and establishing itself. Ivy is considered invasive and will need to be carefully maintained if you don’t want it trailing where it may. 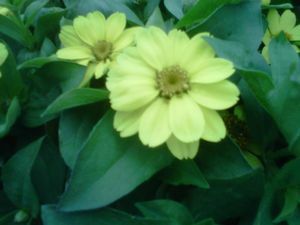 Looks great in containers, beds, along borders, groundcover and in mass plantings. Drapes and trails gracefully over rock borders and hanging baskets.